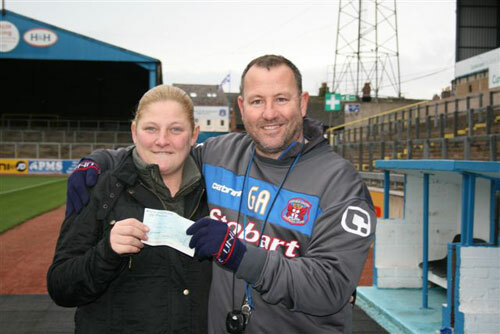 Lotto Premier £5000 Christmas draw winner, Kerry Ingleton receives her cheque from Greg Abbott. 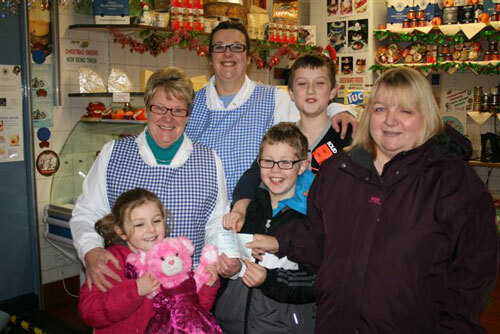 Maureen Sheals, £1000 Lotto Premier winner receiving her prize with family Louise, Thomas, Ellen and Jack. 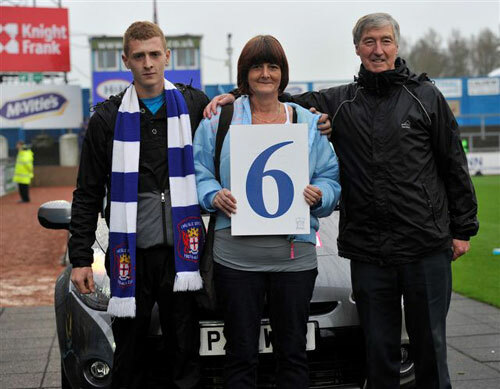 Congratulations to our latest Lotto Premier car winner, Nicola Robinson from Carlisle. Our runner up Peter Fullelove (no.5) was in the final ten for the 2nd time. 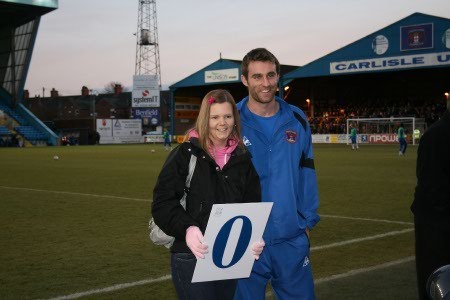 United legend, Hugh McIlmoyle presented Nicola with her prize. 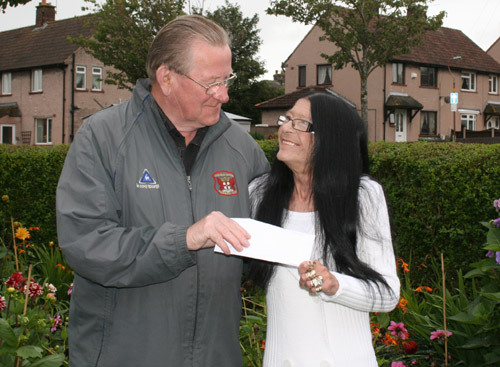 Our £1000 Premier winner for June, Mrs Clarkson from Carlisle receives her cheque from Lotto agent Connell Steven. 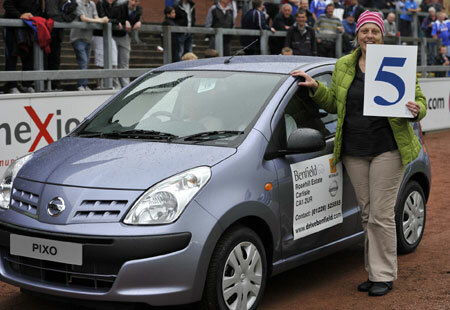 Congratulations to Dianne Plimmer from Kingfisher Park in Carlisle who was the winner of our latest Premier Lotto car draw which took place at our final match of the season. Thank you to our 9 runners up who all received cash prizes. The Premier Lotto draws are limited to 1500 members and we only have 200 places left. For just £2 per week you could be the winner of our next car, one of our Blues or Premier draw cash prizes (£10,000 to be won in July!) 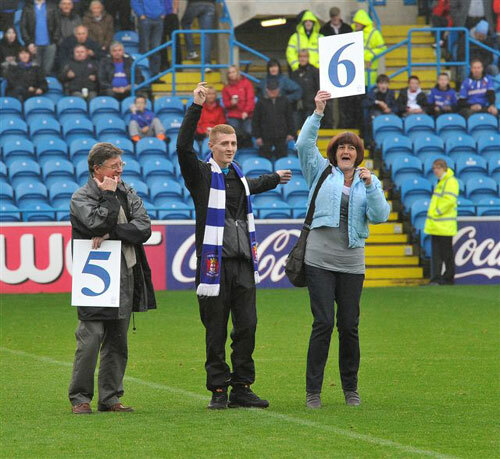 or some superb Carlisle United goodies. Payment can be made by standing order, cheque or to one of our friendly door collectors that operate in most areas of Carlisle. It is even possible to add your lottery subscription to your newspaper account at many stores throughout Cumbria and South West Scotland. Give us a call today on 01228 526237 (option 4) and we’ll set your membership up as soon as possible. Congratulations to these 10 Lotto Premier members who have been selected to attend our next draw for a new car at Brunton Park before the end of the season. Winners will be notified by post once the date for the final draw has been confirmed. 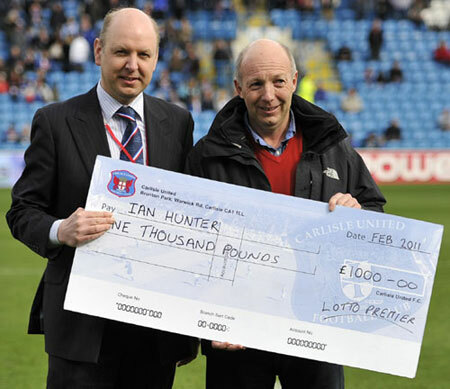 This months £1000 Winner is Ian Hunter from Lancaster (22012). Peter Johnston from Kirkoswald (22185) has won the boardroom hospitality package. 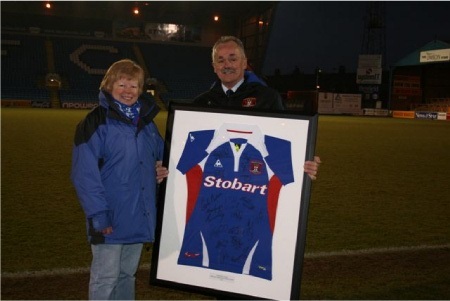 Gerald Little from Carlisle (Stanwix) 22549 is the winner of the signed shirt while one of our newest members Mrs A Fisher from Scotby (23880) is our signed ball winner. 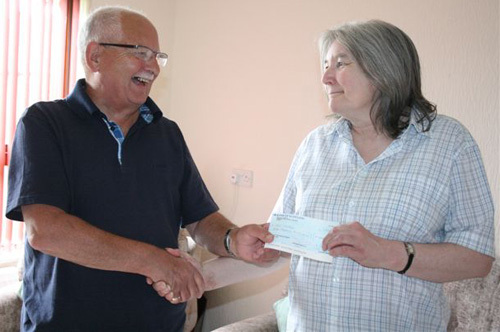 £1000 winner, Ian Hunter receives his prize. 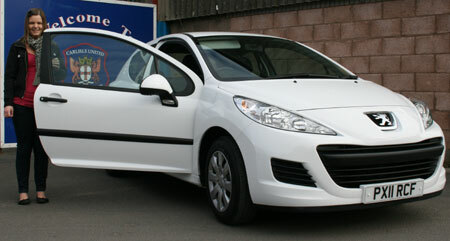 Heather Watson from Carlisle, winner of Premier Lotto car draw on New Years day collected her new “11” registration plate Peugeot 207 from David Hayton, Kingstown, Carlisle. Heather booked the day off work so she could collect keys when the garage opened at 9 am before driving down to Brunton Park to show off her new pride and joy! 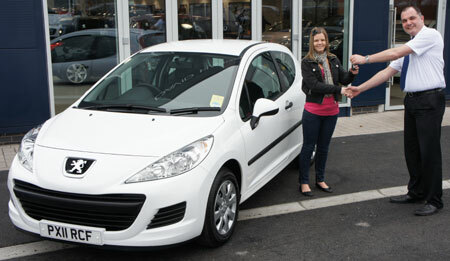 Heather receiving keys at David Haytons. 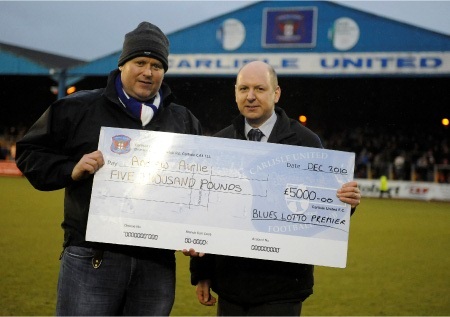 Andrew Airlie from Whitehaven, our £5000 Christmas winner receives his prize. 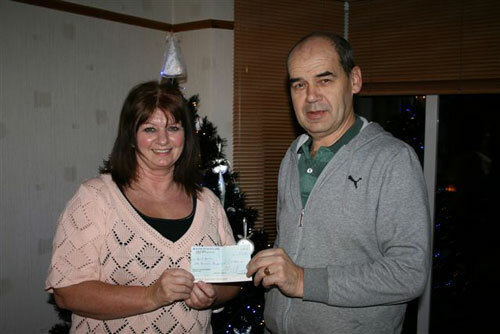 Our November signed shirt winner Kathleen Cragg receives her prize from Lotto Premier committee member Brian Bassett. 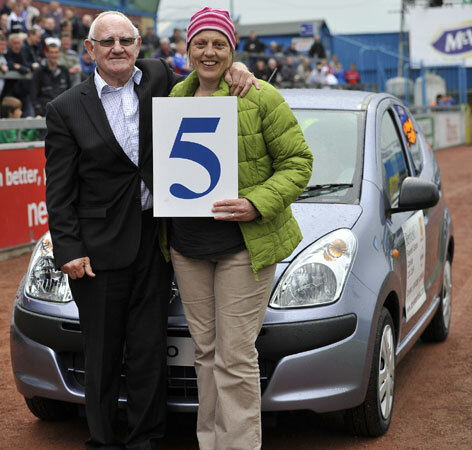 Congratulations to Heather Watson from Carlisle winner of our latest Lotto Premier car draw today.